Srinagar, Dec 19 (CRICKETNMORE): Rasikh Dar, 17, a teenager from south Kashmir's Kulgam district will feature in the cash-rich Indian Premier League (IPL) 2019 edition after being pocketed by Mumbai Indians in the just concluded auctions held in Jaipur. 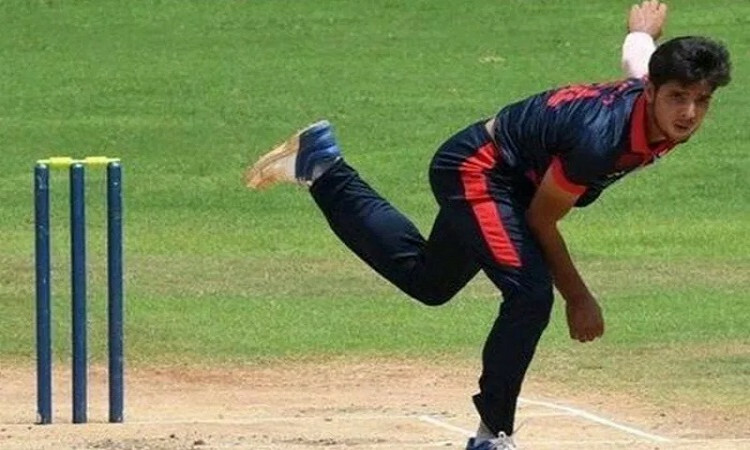 The pace bowler is the youngest among the four children of a school teacher belonging to Kulgam district, and was bagged by the three-time IPL champions for Rs 20 lakh. Dar is currently part of the state's under-19 team for the Cooch Behar Trophy. He recently took six wickets in that trophy and impressed many by his bowling style, maintaining a decent length and pace. He was shortlisted during a talent hunt by Irfan Pathan in the state. Guided by Pathan and local cricketer Parvez Rasool, he was picked for the state's senior team that played in the Vijay Hazare Trophy. Talking about his entry into the IPL, Dar said: "I have over the years worked hard on my game and wanted to play at the highest level. This year I did well in district tournament and then was called for the talent hunt." "In the trials, I was fortunate to impress Pathan Bhai and others and was finally selected for the senior team. It is the dream of any cricketer to see himself in IPL," he added. Dar is the 4th ever cricketer from the state to be picked for the IPL. Earlier, Parvez Rasool, Manzoor Pandav and Muhammad Mudasir were also bought by Mumbai Indians.